Large universal asset owners, who have portfolios that are big enough to move markets, are concerned about how they use their capital to address externalities that haven’t been priced correctly, such as climate change, or seeking opportunities, such as gender diversity, that can make the economy better and more productive. Although substantial progress has been made, the challenge for such investors is how to achieve a level of consistency when integrating ESG-themed assets into their portfolios. Such portfolio typically amounting to billions of dollars are usually made up of various asset classes including equity, fixed income, alternatives, real estate, private equity, infrastructure, etc. They also involve various strategies such as active management, passive management, smart beta strategies, thematic strategies, etc., or any combination thereof. The level of complexity involved in such portfolios depends on their size and investment objectives. As recently as five to 10 years ago, ESG investment was a very small niche. There were no substantial investments being made in this space. In fact, there was a mindset among asset owners that while investing in ESG is ethical and can have a positive long-term impact they are likely to lose investment performance in the short term to medium term. But in the past two years, this trend has been changing as asset owners are beginning to see ESG as a risk management tool and as a means of seeking opportunities. Because of this, large asset owners have begun shifting part of their allocations or the entire allocation towards ESG. The Government Pension Investment Fund of Japan (GPIF), the world’s largest pension fund with US$1.4 trillion in assets, announced that it will invest US$10 billion in two ESG indices produced by S&P Dow Jones Indices. 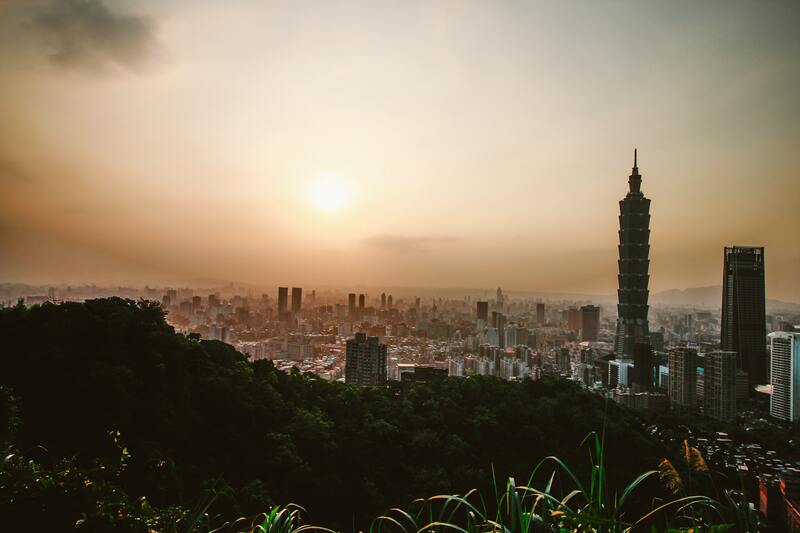 Also, the Taiwan Bureau of Labor Funds (BLF), one of the largest public-sector funds in Asia, has also selected the FTSE4Good TIP Taiwan ESG Index for a new equity mandate. BLF has issued a five-year passive mandate with an initial total size of US$1.4 billion. Swiss Re, one of the largest insurance companies in the world with assets of US$222.5 billion, announced in July 2017, that it has already consistently integrated ESG considerations into its investment process since the start of 2017. “What we’ve seen is that Asia is part of a global trend where large asset owners have started shifting significant allocations towards ESG. We’ve seen that in Asia with GPIF. We’ve seen similar insurance companies in Europe and even in the US that is often said to be ESG reluctant,” says Guido Giese, executive director of Applied Equity Research at MSCI. Giese, who conducts research on the link between ESG and financial application, is currently doing a study on how to achieve a level of consistency in the integration of ESG into an asset owner’s portfolios. Before the trend towards ESG integration, ESG was seen as just an “add-on” by asset owners and not as part of portfolio risk management. “What is interesting is for the vast majority of asset owners that we talked to, the motivation for stepping towards ESG integration is typically financial risk,” Giese says. In the case of Swiss Re, for example, the insurer’s main reason for integrating ESG into its entire investment portfolio is to reduce financial risk. The company is convinced that taking ESG criteria into account makes economic sense and reduces downside risks, especially for long-term investors. By implementing ESG benchmarks, Swiss Re has taken a step forward from considering ESG as an “add-on” approach to making it an integral part of its investment process. “For Swiss Re, their concern was really the financial risk. They’ve seen that companies with good ESG ratings were typically safer investments so they have a lower likelihood of suffering from cases like lack of oversight or corruption. Their concern was the risk in portfolios,” Giese says. For other asset owners, ESG integration is also a means of managing systemic risk in addition to the financial risk. This was the case for Japan’s GPIF which also saw ESG as a means of addressing risk in the entire economy. The asset owners who have undertaken ESG integration have approached it in different ways. For Swiss Re, the integration model was simple. The insurer just replaced the existing policy benchmark that defined the companies that they can invest in with ESG benchmarks as a means of reducing financial risk. For example, they replaced their existing equity benchmark with an ESG equity benchmark. They also replaced their existing fixed income with an ESG fixed income benchmark. This meant that Swiss Re is now restricted to investing only in ESG-compliant companies for equity and ESG-compliant issues for fixed income. “That has a huge impact because it means the investible universe is suddenly an ESG universe. We’ve seen similar things at other asset owners,” Giese says. Other asset owners are more nuanced in their approach. For example, those who are concerned with “systemic risk”, such as GPIF, have chosen to use carbon benchmarks when defining the universe of companies they can invest in. “Carbon is also one of the systemic risks since climate change is a long-term risk or opportunity for the entire economy. If you change the benchmark to a carbon benchmark, you will have less exposure to companies making CO2 or to companies owning fossil reserves,” Giese says. By using carbon benchmarks, ESG is integrated into the entire investment process and it feeds through all the portfolios. Using benchmarks allows the asset owner to achieve ESG consistency throughout the whole portfolio because each strategy and fund within the portfolio uses benchmarks. While the initial entry point for asset owners investing in ESG has been equities, other asset classes are now beginning to be integrated into ESG. In fixed income, interest in ESG-compliant bond issues has been rising based on the huge increase in bonds issuances, for example. In 2017, green bond issues increased by 78% to US$155.5 billion, involving over 1,500 green bond issues, from 239 different issuers, from 37 countries, according to the Climate Bonds Initiative. In addition to green bonds, ESG-compliant corporate bonds have also been attracting interest from both issuers and investors. Investing in ESG-compliant corporate bonds are, however, different from investing in ESG-compliant equities. Equity investors usually buy the shares of the holding company. But fixed-income investors generally buy bond issues that may belong to subsidiaries of a holding/parent company. “Often the market information that’s out there today from providers is at the equity holding company, that’s where ESG rankings are provided. Now there are many cases where the bond issuer can be a completely different subsidiary. It could have a completely different holding company structure which means that the liabilities may be from one side where the ESG rank can be quite low or is not really the same,” says Travis Spence, head of fixed income investment at J.P. Morgan Asset Management. Real estate is another asset class where ESG compliance is becoming more integrated and hence attracting interest from ESG-focused asset owners. In recent years, global real estate companies have been raising the standards for ESG compliance in the industry, particularly in terms of sustainability investing. In Asia, these efforts have been partly successful based on improved scores they have achieved on the Global Real Estate Sustainability Benchmark (GRESB), the leading evaluation system for measuring the sustainability performance of property companies and real estate funds. In 2018, the number of participants in the GRESB increased by 6% to 903 property companies, real estate investment trusts (REITs), funds, and developers. In Asia, the regional average GRESB score increased from 63 in 2017 to 66 in 2018, demonstrating the improvements in overall sustainability performance. “What we’re seeing in the real averages of the scores is that Asia ex-Australia at 66 is performing well. They’re in line with Europe. When you start to break it down within Asia, China may be doing a little worse than Japan so it averages out. China was in the high 50s and Japan was in the 70s (in GRESB scores). So you start to see the nuances of how investment managers are running their real estate portfolios from an ESG perspective,” says Eric Duchon, director and global head of Sustainability at Lasalle Investment Management. In terms of thematic investing, another asset class is healthcare, which has seen increasing focus from investors. The strategy has a very concentrated portfolio that is currently invested in only 29 stocks, mostly mid-caps and small-caps, that are focused on the theme of health and well-being.